Right now you can get a good deal on a Fire Tablet from Amazon! 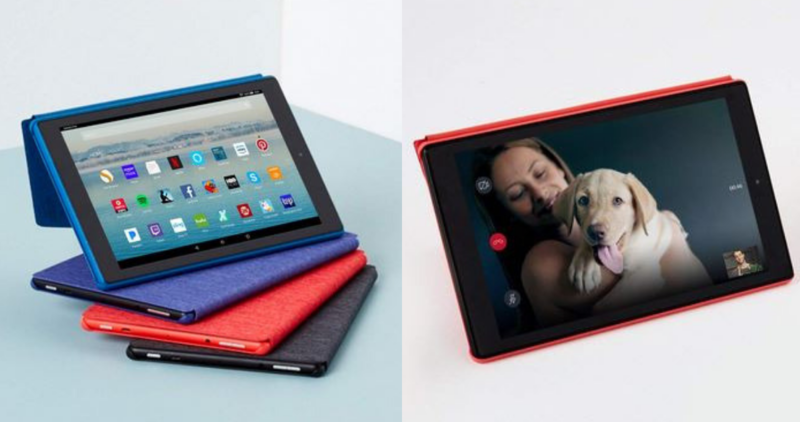 Get the Fire HD 10″ Tablet with Alexa and 32GB for $99.99 (regularly $149.99). Choose from black, blue, or red. Note: you must be a Prime member to get this deal. The Alexa hands-free mode allows you to play music, open apps, and more with your voice. This tablet is also great for reading, browsing the web, and streaming videos. Shipping is FREE. This offer is valid for a limited time only.